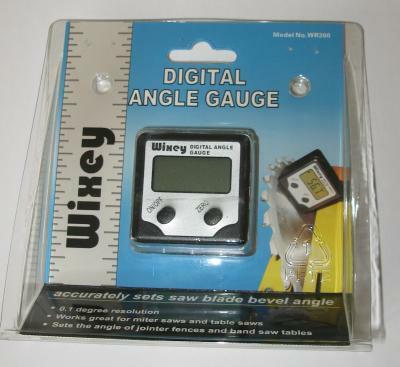 A small digital angle gauge – really no more and no less than what it says on the box. In use you switch it on, place on the reference surface, press the zero button and the meter will then show zero degrees. 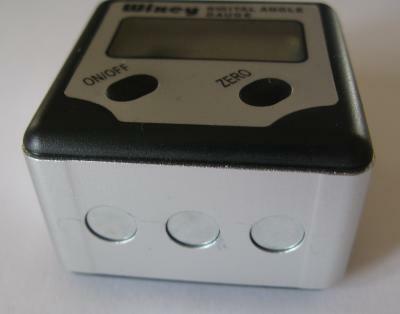 You then move the meter onto the item for which you want to measure the surface of (relative to the reference surface) and read the angle. As you can see in the above image there are three permanent magnets fixed in the base so that you can attach the angle meter to items such as circular saw blades. 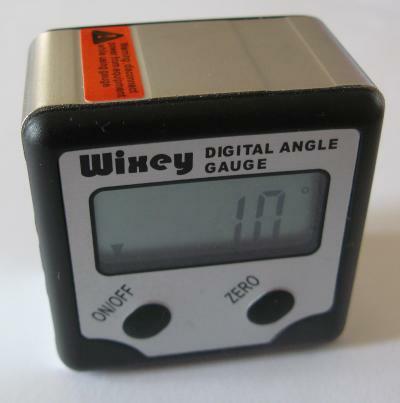 A great item for setting up saw blades, wing dihedral, engine thrust lines etc. The only issue is you will need to remove the battery if you only use it now and again as it will drain the battery even when it is apparently off.